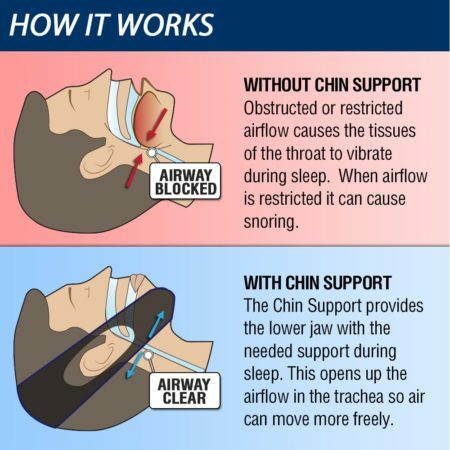 The Anti-Snoring Chin Support keeps your mouth closed when you are sleeping, which encourages breathing through the nose and allows airflow in the trachea so air can move more freely. 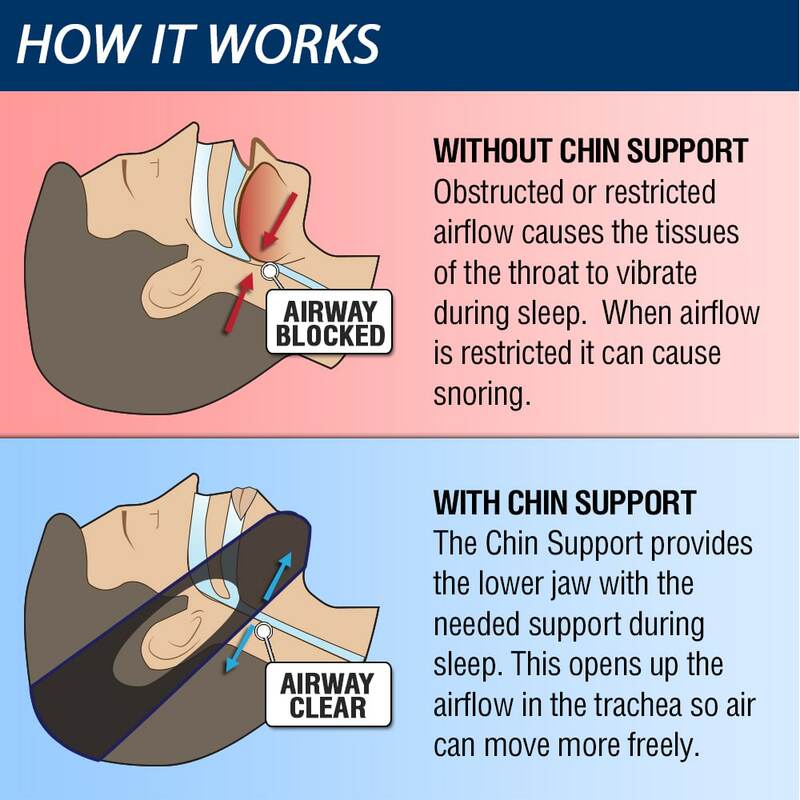 As an effective anti-snoring device, you can easily stop snoring that is caused by sleeping with an open-mouth. Snoring may disturb sleep for the snorer and people around them, causing daytime sleepiness, reduced mental alertness and relationship issues. The Anti-Snoring Chin Strap is designed to quickly and easily eliminate snoring. 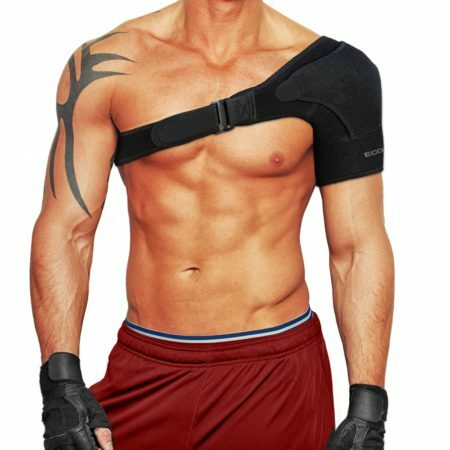 EASY TO USE: Simply wear the chin support strap around your head with the mesh lining of the strap facing your chin. 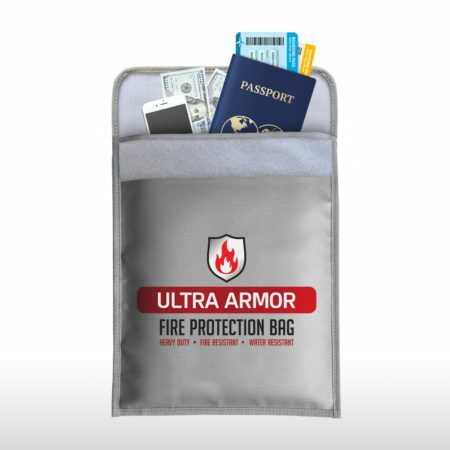 The Velcro closure is adjustable for a custom fit making it a great snore stopper solution. 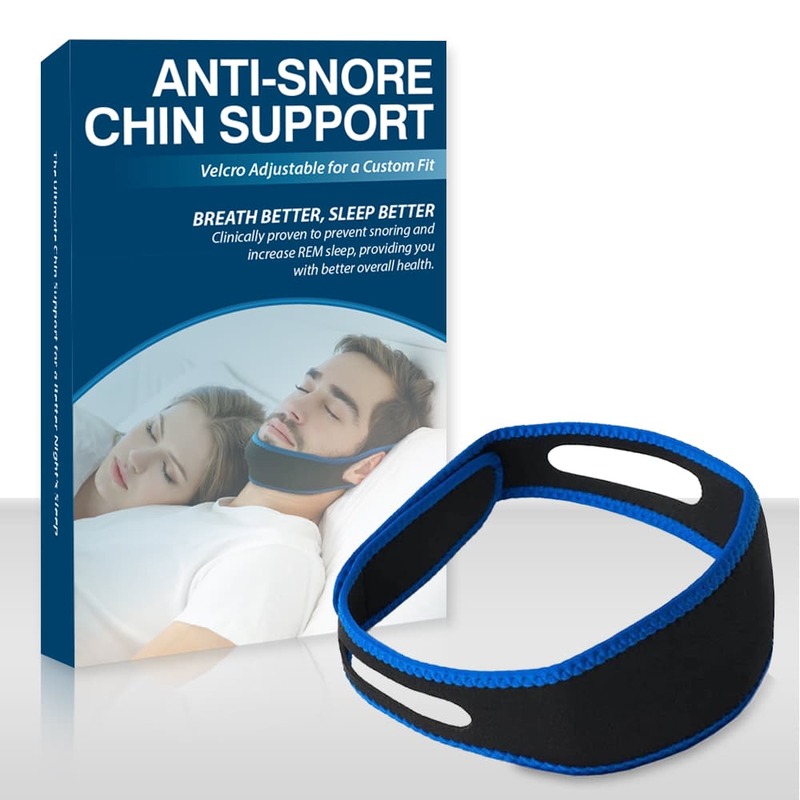 INSTANT SNORE RELIEF: An effective snoring solution that instantly stops snoring by providing the jaw with the support needed during sleep. The forward position of the jaw, combined with a closed mouth, opens up airflow in the trachea allowing air to move more freely. 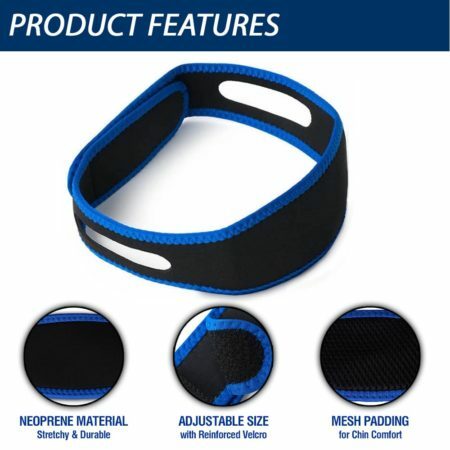 STOPS SNORING NATURALLY: The Anti-Snoring Chin Support is non-invasive and has absolutely no side effects. It’s an effective anti-snoring device clinically proven to prevent snoring and increase REM sleep, providing you with better overall health. 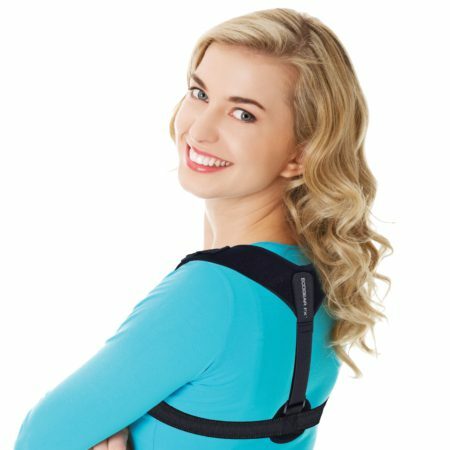 ULTRA COMFORTABLE & ADJUSTABLE: Made with soft and comfortable neoprene material. 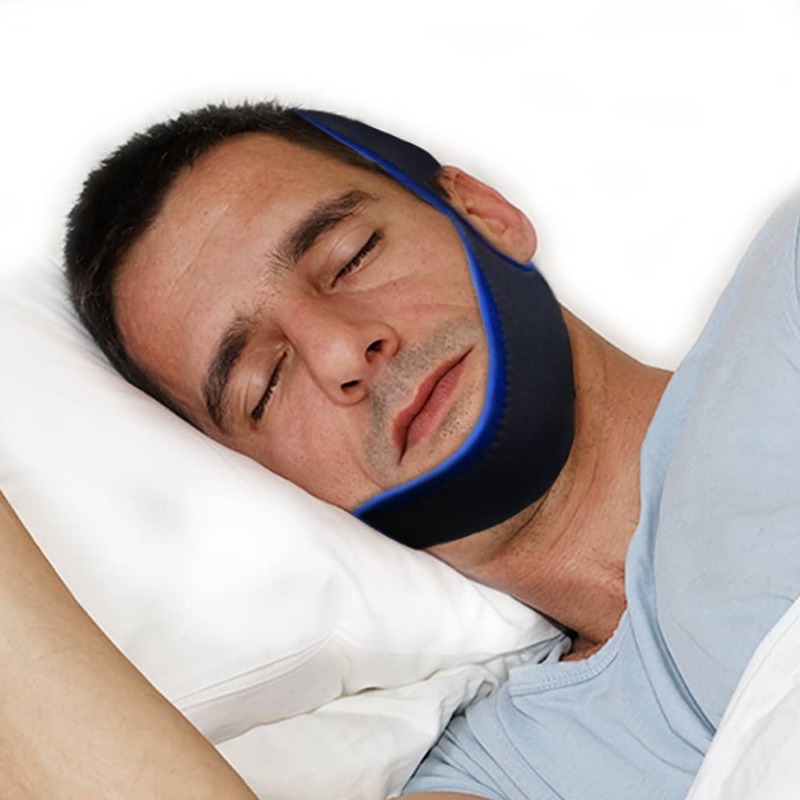 The Anti-Snoring Chin Support is designed to stay in place throughout the night without sliding off. The chin strap size is fully adjustable, enabling to perfectly adjust the strap based on your needs. 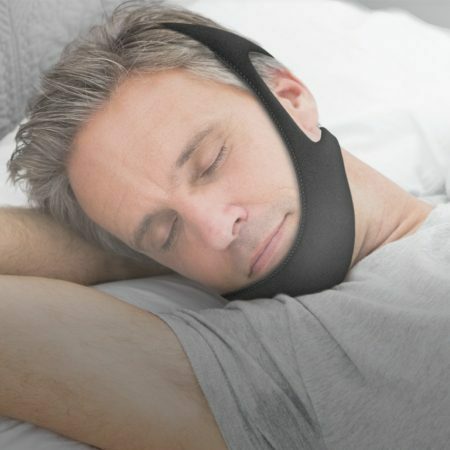 PERFECT FOR CPAP MACHINES: The Anti-Snoring Chin Strap works perfectly in conjunction with a CPAP Machine. 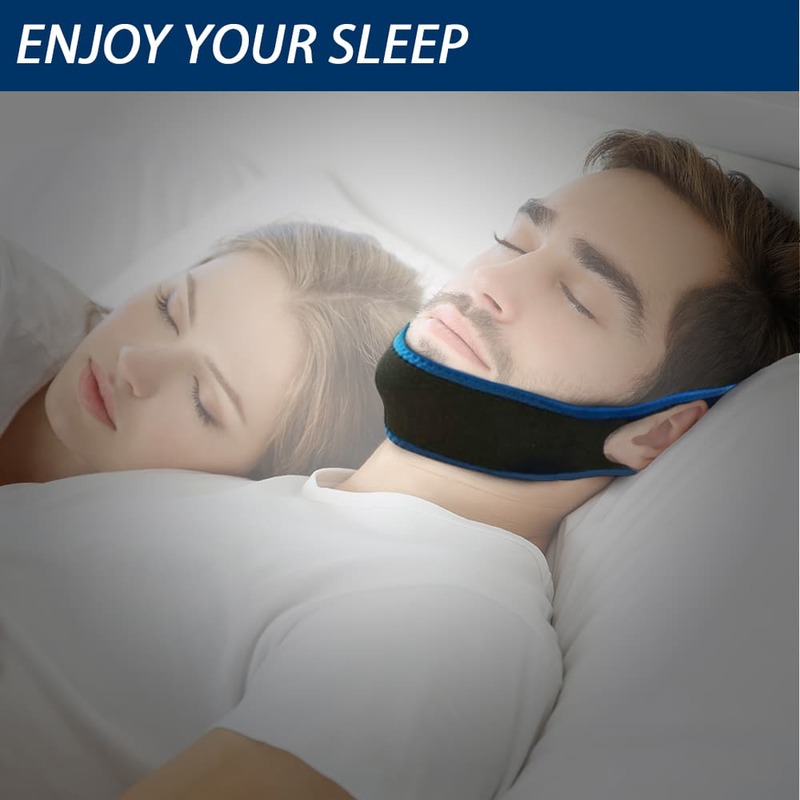 The Chin Strap increases the effectiveness of your CPAP Machine treatment by keeping your mouth closed. An ideal chin strap for sleep apnea conditions.